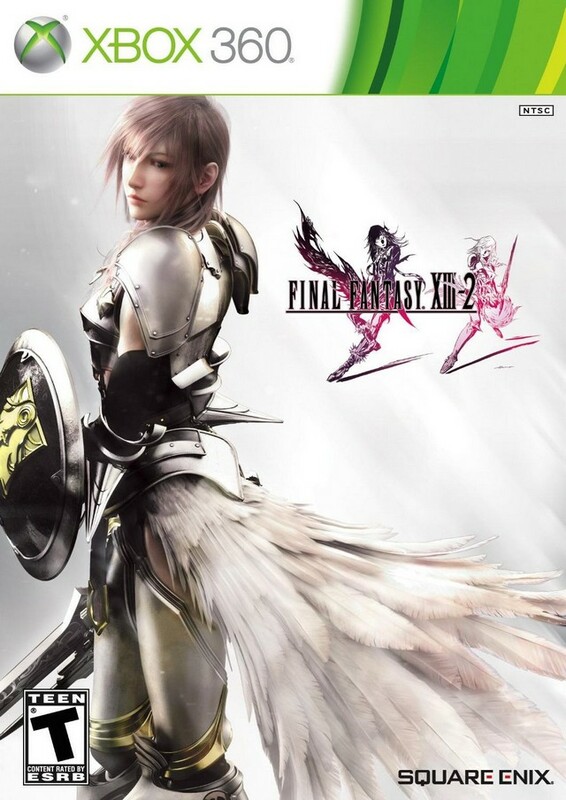 It’s hard to believe that it has been almost two years since the release of Final Fantasy XIII. I know friends and family that both enjoyed and loathed it to some degree due to some of the design decisions that went into it. And understandably so. Square-Enix took a lot of chances with this game and some of them paid off while others didn’t depending on who you ask. I personally loved the game, and put it as my number one game of 2010 when we did our Staff Commentaries feature. Regardless of where you are on the fence with FFXIII, it was clear that Square-Enix was listening, as they sought to implement some highly requested changes for that game’s sequel. 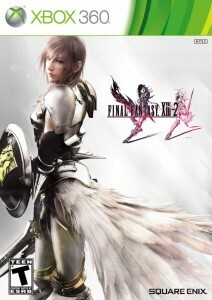 I had an opportunity to play the demo for Final Fantasy XIII-2 when it went live on the Xbox Live Marketplace. As someone who invested over 100 hours into the original, here were my observations of what the demo brought to the table. 1. 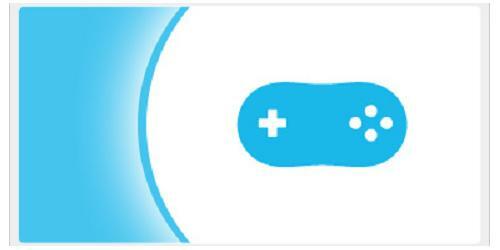 When you begin the demo, you are thrown into the middle of events. None of the characters from the original can be found, save for Serah who was not a playable character in that game. Your beginning party consists of her and newcomer Noel as they face off against a mysterious being called Atlas. The demo doesn’t explain much about Noel or the new moogle companion, Mog, though you do discover that you have just traveled through time and can only continue to do so when you find an object that does not belong in the particular era that you are in. 2. 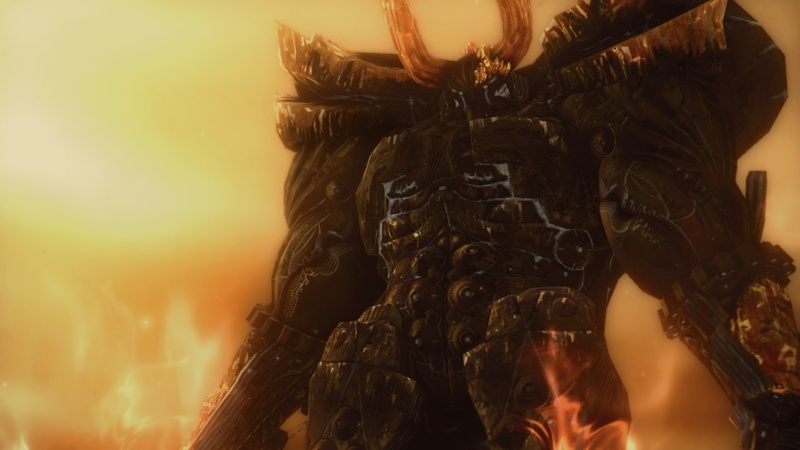 Combat is largely the same as it was in FFXIII, though there are some new additions. During your battle with Atlas, you are introduced to new cinematic actions that prompt you to push a button or series of buttons at the right time in order to inflict heavy damage or cause a story event to occur. While not a revolutionary step forward, it makes combat a bit more engaging. I was pleased to see that there wasn’t as much hand-holding in the demo as there was in the first 20 hours of FFXIII. You can also swap leaders in the middle of battle, rather than waiting until you are in your menu to do so, which really helps if your main character is in peril. 3. There is only one area accessible in the demo, but it is much bigger than the areas in FFXIII were. And by bigger, I mean that it isn’t just a long corridor, though it’s still not the mammoth region that Pulse was when you finally had access to that area. The game also autosaves for you as you navigate around, so any purchases you have to make have to be done through a shopkeeper named Chocolina (who apparently shows up in every time period) rather than at save points. 4. You no longer see enemies on the map as you could before. Instead, they will spring up from the ground at random and you will be given an opportunity to flee or attack them with your sword which will give you a preemptive strike. I liked this better than FFXIII‘s method of gaining the upper hand, as you no longer have to collide with enemies before they can see you coming in order to initiate it. 5. FFXIII-2 apparently took a page out of the book of fellow Square-Enix franchise, Dragon Quest, as defeating certain monsters will earn you a crystal that allows you to put those specific monsters into your party. Each monster has its own class that mirrors the standard classes your other characters can use such as Commando, Ravager, and more. You can add up to three monsters to be included in your paradigms and will switch out depending on which paradigm you have currently active. These monsters also have a meter than can be built up through combat that allows them to unleash an attack unique to them, increasing their utility even further. 6. The character customization works similar to its predecessor in that you still earn CP in order to improve your characters, but there are a few key differences. You still have different levels for each of the different classes, but rather than be represented by their own board, each time you have enough CP to level up, you pick a class you want to increase the level for. When you reach certain thresholds, you will gain an extra skill for that class. And when you get the notification that the crystarium has expanded, you also get to make a choice to learn a new class for that character, increase your ATB bar, or even add a bonus to a current class. Monsters can also be leveled up, though this is done through items obtained from defeating other monsters. 7. There also seems to be more freedom of choice in FFXIII-2. There was a point in which I was asked if I wanted to go retrieve an item to tame Atlas with, or just fight him head on. If I wasn’t sure what to do, I could ask others for advice which may or may not prove useful. Mog, for example, would only tell me that he liked Serah more than Noel. I’m not sure if this was an attempt to mimic what games like Mass Effect do already, but it was an interesting addition that has me interested how it will play out in the final game. 8. There was a point in the game where I was sucked into a void that I could only escape if I solved a series of simple tile puzzles. These puzzles involved collecting crystals that were strewn about the board and I couldn’t walk over the same space more than one time. These were an interesting addition considering the original game was very light on puzzle solving, though I’m unsure how much they contribute to the overall game. 9. Final Fantasy XIII was a good looking game when it came out in 2010, and FFXIII-2 shines just as much. The characters are very well designed and move fluidly, while the backdrops don’t appear to be copy and paste jobs from the previous game and are in fact bigger and more detailed. What little I’ve heard of the soundtrack is on par with the original too, which makes the thought of owning the soundtrack almost an assured thing. 10. When you complete the demo (which takes maybe about an hour or so), you are shown a brief video of things to come from the actual game. This short reel depicts some segments which include being able to use Lightning for a few battles, a vast variety of monsters to join up with (including chocobos, behemoths, and cactaurs), and even the return of chocobo racing. This mini-trailer of sorts had me excited for what was to come. Despite initial concerns that the Final Fantasy XIII-2 would just be a quick cash in of its predecessor, I rather enjoyed my time that I spent with the demo. It’s still too early to tell though if I could recommend it to someone who had played the original, but didn’t like it for one reason or another. I will say that it is at least worth checking out if nothing else. The full retail version releases on January 31 in North America for both Xbox 360 and Playstation 3. To me, it’s either you love XIII or hate it. It was the first Final Fantasy game I completed, and one of the first games of its genre I’ve played. Was pretty much my favourite game for the PS3 until I played Mass Effect 2. 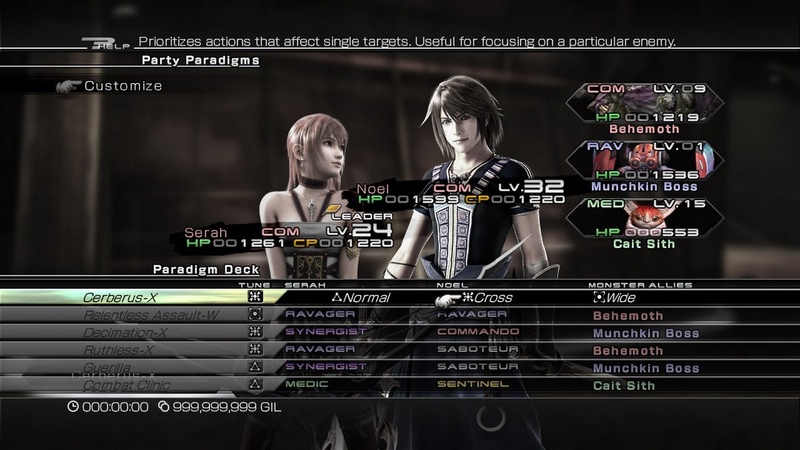 I can see the flaws XIII had, and I understand why such flaws existed. I didn’t play the game for the gameplay, but for the story (even though it was confusing, I was interested in it). 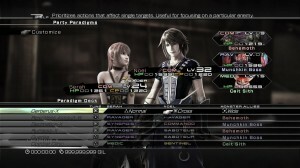 XIII-2 seems, and most likely will, improve on the majority of the flaws of the first and add new content. From the demo, straight away I noticed how much more “open” and player-driven it was, even if it was merely a demo and near the beginning of the game. I had a few problems: the leveling system confused me at first, it also doesn’t seem to level you up as high as XIII’s (9k HP for Noel I saw, whilst Snow in XIII had 30k) and I’m not to sure what to think about the ability to use monsters, they felt rather useless. I’m sure it’ll all become more interesting later on, and I’ll get used to it. My main concern is the story. XIII was very emotional for me, which I enjoyed (more-so than VII, as amazing as it was, the dialogue and story were terribly written/translated) and hopefully it’ll be just as moving in XIII-2. I’ll just finish IX whilst waiting. @Aazagthoth – Thank you for your feedback! I was actually the opposite, truth be told. I enjoyed the gameplay more than the story, though the story did have some very good moments. The reason I spent so much time with it is doing the monster hunts/missions that unlock towards the end of the game. As much as I enjoyed it though, it was very hard to recommend to other people in contrast to some of the other games because of things like the linearity and being able to take advantage of the more enjoyable game mechanics until much, much later in the game. I like what I see from the XIII-2 demo so far and it’s looking like a good opportunity for detractors of the original to give it another chance. We’ll find out at the end of the month, I suppose. In the meantime, enjoy IX, that is another great entry!